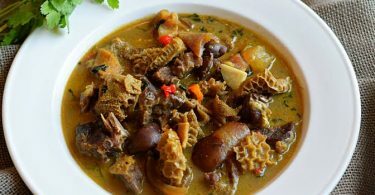 Over recent years, fasting has drastically risen in popularity primarily because of endorsement from celebrities and experts. The fact remains though; there are still risks related to fasting if done incorrectly – particularly, dehydration, which is why Muslims are advised by scientists and charities alike to drink lots of water before fasting periods in Ramadan. Many devout Muslims have wondered: what are the health benefits of fasting during Ramadan? So, does fasting have a positive impact on your health? Hopefully, through this short guide, we will be able to explore this question and highlight some of the benefits that come with effective fasting regimes and systems. 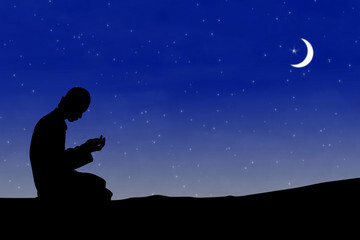 This article discusses three of the most signifcant health benefits of fasting during Ramadan. It is widely theorised and agreed upon that inflammation is an accurate indicator of disease, but it’s also been theorised that inflammation could be a cause of disease too. This means that ensuring your body is safe and experiences low levels of inflammation is a brilliant way of avoiding sickness and disease, which fasting can help with a lot. Research shows that intermittent fasting and the calorie restrictions that come with it are effective at reducing the effects of pro-inflammatory cells in the body. This research was done explicitly during Ramadan, meaning that the participants had a very high likelihood of being strict with their dieting patterns, adding validity to the conclusions of the research. By fasting intermittently, the participants were naturally reducing their body’s inflammation, decreasing the risk of multiple diseases. This is incredibly valuable to help you stay healthy. READ Essential Health Tips For Excessive Smartphone Users. Diabetes is one of the most widespread and challenging diseases in the world, as well as costing medical professional and citizens lots of money each year. With this in mind, it makes more sense to focus on prevention rather than cure, and as this research demonstrates, fasting can play a big part in that. In particular, this investigation found that fasting was effective at preventing diabetes in ‘at-risk’ individuals, meaning that for those who aren’t at risk, it could be even more effective. The reason why fasting helps to prevent diabetes is that it assists in preventing insulin resistance, which is when the pancreas cannot produce adequate levels of insulin for the body and becomes overwhelmed. This inability to me the needed level of insulin leads to a rise in blood sugar levels, along with an increased risk of diabetes. The study suggests that fasting encourages the body to consume ‘bad’ cholesterol and fats to sustain itself. These same ‘bad’ fats are fundamental in causing insulin resistance in the first place and so with their removal, the risk of diabetes decreases. Using this information as a basis, it becomes clear that fasting could play a huge role in preventing diabetes. One of the most commonly cited and undeniably true advantages of fasting during the Ramadan are its benefits to weight loss and health. By limiting calorie intake, fasting encourages the body to consume fats that you already have, making you lose weight which undoubtedly has a positive effect on both your physical and mental health. This impact has the power to vastly impact our society, especially considering the increasing obesity problem across the globe. 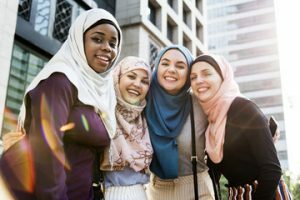 Taking one demographic alone, Ramadan 2019 will be practised by almost all of the 1.8 billion Muslims around the world (according to 2015 figures). This means that approximately a quarter of the planet’s population will have a month where they reduce their risk of disease, along with their weight and other disease indicators. This alone would have a significant impact on health systems around the world, meaning that it could be even more impactful if more individuals chose to fast intermittently, whether as part of a religious celebration or not. This is just the tip of the iceberg. There are plenty more health benefits of fasting during Ramadan and much more research to support claims of fasting being an adequate answer to many of the world’s health concerns. Without a doubt, fasting can make your life easier and healthier.